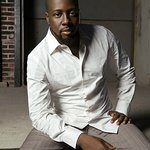 Grammy Award-winning singer, songwriter, producer Wyclef Jean, and (RED) founder/U2 front man Bono, were honored this week at a ceremony thrown by The Robert F. Kennedy Center for Justice and Human Rights, where each were awarded the ‘Ripple of Hope’ Award. Jean was honored for his work to inspire change in his native country of Haiti through his Yéle Haiti Foundation. Bono was recognized for his efforts in the fight against extreme poverty and preventable disease, particular in Africa with the ONE Campaign, DATA and (Product) RED. 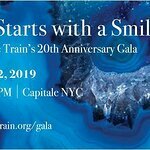 The event was emceed by actor Peter Gallagher, and guests included: Matthew Modine, Matt McCoy, Joey Pantoliano, Gloria Reuben, Robert F. Kennedy Jr., Governor Jon Corzine, Harry Belafonte, Martha Stewart, Bill O’Reilly, Ana Ortiz, Aasif Mandvi, Liya Kebede, Earl Graves, Terry Kinney, Rebecca Minkoff, Charles Nolan, Richard Plepler, Tom Freston and Orin Kramer. The evening ended on a high note as Bono joined Wyclef on stage for a rendition of “Redemption Song,” after which Wyclef performed “Carnival” and brought the entire crowd of over 800 people – including Ethel Kennedy – to their feet singing and dancing.